The latest research shows that the longest life expectancy in the world are Japanese. Average Japanese experience 84 years of age. Does it have to do with a traditional diet and lifestyle, which benefits health are traditional Japanese dishes and lots of interesting things about one of the oldest and most advanced civilization, we explain in this article. Mt. Fuji with fall colors in japan. Scientists and historians for a years monitored and devote a lot of attention to this very interesting nation. Especially with the advancement of technology and the detection of various diseases, people are increasingly turning to traditional Asian cultures, their way of life and way of treatment, which is certainly worthy of attention. The World Health Organization has found that the Japanese as a nation in the first place when it comes to the lowest rates of obesity in developed countries, with only 3% of overweight, as opposed to America with obesity rates of 33%. Their way of cooking is based on very sound foundations: raw or steamed food or food prepared in the wok. Such a diet does not contain excess calories, no harmful fats, no use of oils, most of the fish meat that is eaten raw as sushi and sashimi. Source of protein and omega fatty acids are fish and mushrooms, a source hydrate, fiber and vitamins is rice, buckwheat noodles and steamed vegetables. Natural green tea as a beverage has a special place in Japanese culture. Portions are moderate, no overeating, the body is not struggling to digest food and that’s why you are constantly energized and rested. You can work long with full concentration, with very little sleep. Habit is all that remains of this diet, over time the body adjusts and there is no need for extra calories, and when you get to that stage of your daily tasks it is easier for you to perform, and certainly this will be healthier. Of course it is the price of Japanese specialties at exclusive restaurants around the world is certainly the most expensive. Cheap and bad food mostly makes you unhealthy and obese. But such a diet can easily be applied by making meals at home. Get the groceries at the market take a little time, and there you have a healthy diet. We will mention some of the specialties of this cuisine and give approximate nutritional composition. Japanese soup with noodles. Soba noodles are made from buckwheat flour. Buckwheat in possession of vitamins B1 and B2, minerals and almost double the percentage of protein in relation to rice. Sashimi. Seafood in its purest form. This dish consists only of thin slices of raw salmon, tuna, squid, or anything else fresh. No matter what fish you choose, you are guaranteed you will get a huge percentage of protein and nutrients with very little fat. Edamame. It represents a fresh glow, which can be a great appetizer. It contains a high percentage of protein, omega 3 fats and fiber. Serve with fresh vegetables will lead to the full before the main course, and time will not come to overeating. Shiitake Mushrooms. This food is very rich in protein and has a low percentage of fat. It is used in Asian medicine for centuries. Studies show that shiitake mushrooms protect against cardiovascular disease and high cholesterol. Tofu. This is a very standard food in the Asian kitchen. Similar properties as shiitake, a lot of protein and little fat. It can be easily combined and used as a dietary supplement.Wasabi. This unique flavor contains the same chemicals, to fight cancers, like in broccoli and cabbage.Wasabi also reduces the risk of heart attack. Nigri. Thin slices of fresh fish wrapped around rice with bits of seaweed. Most chefs in restaurants that it is much easier to handle if raw fish is mixed with rice and some restaurants use or brown rice. Seaweed. This staple is indispensable when it comes to consuming a sufficient amount of minerals. Seaweed contains several things that our bodies need, including zinc, selenium, iodine, and vitamin B12. It also help to reduce blood pressure and cholesterol levels. These are some important details that characterize a healthy diet in the Japanese way. Changing bad habits with better, accept the fact that health enters the mouth, giving an example to others and most importantly give an example to your children, ones it’s up to yourself. This diet will help your working day to be more efficiently and your life much longer. So the Japanese are doing this! Under pressure from industry and pharmaco onslaught of the latest and supposedly best products, we are often in a dilemma whether we need to strengthen some of its food supplements that are offered to us. Clients often ask a questions, should they need to take supplement and which one. In this article we will deal with supplementation for recreational athletes and fitness enthusiasts, and their replacement through diet. Protein or whey is obtained by conversion of the milk into cheese. Whey proteins have the highest bioavailability (most effectively come to the parts of the body where they are needed). The amino acid composition of whey proteins is the most valuable in the sense that contain the highest branched chain amino acid (BCAA), as well as all of the essential amino acids. Whey is the richest source of BCAA (vitamins) that are metabolized in the muscle, and the most important in periods of training, but also in the recovery period. 3 x 55 g scoops = 9 chicken legs. Creatine is a substance naturally produced by our body. The body produces about 2 g of creatine per day. The role is to promote the restoration of ATP (the main energy for working muscles), which means that his taking a prolonged time work. Creatine has in the red meat and fish. L-carnitine is the best known role in the transfer of fatty acids across the cell membrane to the mitochondria where the fatty acid burning and used as an energy source. L-Carnitine helps to turn fat into energy. L-carnitine in the body is present in sufficient quantities, and entered into the body through food of animal origin. Caffeine we have more processed in a given link CAFFEINE . 5 x 200 g in tablets = 13 espressos. 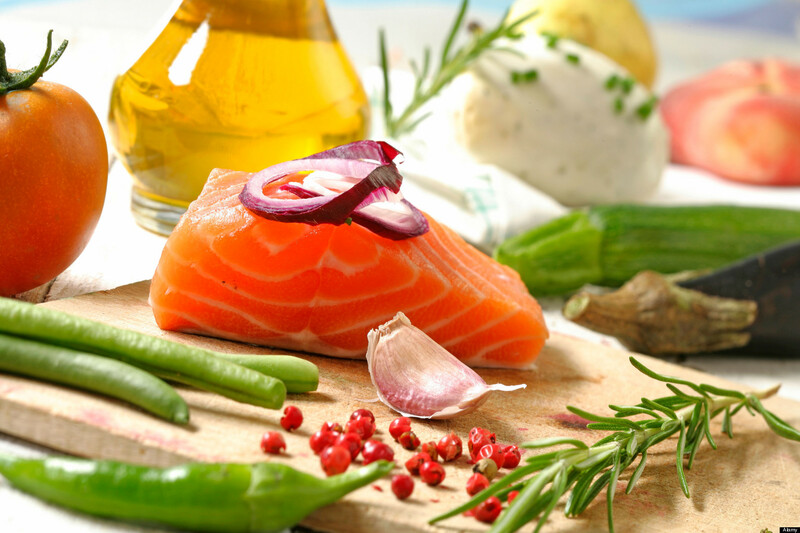 Omega-3 fatty acids must be supplied in the diet, because they are not producing organism. They are a major component of cell membranes, are essential for cell regeneration and reproduction, and hormones, which trigger all functions in the body, can not be produced without them. The richest sources of omega-3 fatty acids include fish, especially in cold seas and flaxseed oil. Magnesium heart problems, headaches, high blood pressure, allergies, muscle tension, diabetes – all of these diseases are associated with a lack of magnesium. 1 x 250 mg in tablets = 32 raw of leaves spinach. Iron is also an important part of the hemoglobin molecules which is located in red blood cells. In fact, if there is no iron, the bone marrow can not produce this, for the life of a very important substance, which carry oxygen to the farthest parts of the body. 1 x 15 g in the tablets = 3 blocks of Tofu (soy cheese). Zinc is essential for maintaining a strong immune system, the body and stimulates the creation of white blood cells in the bone marrow. Eggs, Seafood, Crabs. CoQ10 participates in the creation of energy in every cell of our body. It acts as a catalyst in the process of converting food into energy, which occurs in the mitochondria of cells. Lack of coenzyme Q10 can contribute poor diet, stress, infections, chronic disease, and certain medicines. 3 x 30 mg capsules = 100 grain berries. Vitamins: A carrot, B1 lettuce, B2 Mushrooms, B5 Avocado, B12 Salmon, C (cabbage, pomegranate, pepper, lemon), D Shells, E Kivi, K Cabbage. Ensure that the classical food satisfy all the daily required amounts of the respective supplements. If you need to complement the nutrition supplementation, which is sold in stores in the form of pills, ampoules, powder, consult your trainer or some expert. Be careful and remember this text, so as not to leave half salary in the store! During many years of experience most of my interlocutors and clients do not know what does diet mean, why is it called that, that does not represent any avoidance or worse taking of food. In the following, we will clear up some misconceptions about diet. Today’s health and fitness industry is based on the promotion of different diets, incredible innovations and inventions (some of them are justified, but most are not). Of course, profit is the most important thing of all these industries. There are basic guidelines that must be followed in order to achieve its objectives, they have been clearly and very simple. Each of their new correction gets a new name and get confuse us, it’s simple. Energy balance. It essentially represents the most essential thing that you lose or put on pounds. It represents the input of the amount of energy consumed and the amount thereof. It is expressed in calories Kcal. The point is to spend more calories than you consume and you will lose weight. Or enter more calories than you burn to gain weight (muscle mass or fat deposits). Macronutrient balance. In case you’re not familiar with the term, a macronutrient dictionary defines as “any of the nutrients nutrition which are required in relatively large amounts: proteins, carbohydrates, fats, and minerals such as calcium, zinc, iron, magnesium and phosphorus. The main goal is: We want to get more muscle than fat and want to lose fat, not muscle. Pursuant to the order, we must not look at calories as only calories but also where it comes from. We have to look more at our listing of macronutrient. Increased intake of carbohydrates and fats may be part of a child but not protein intake can result in loss of muscle mass which is not good (there is a weakening of the muscles and a very difficult process to build desired muscle musculature). If you have a diet for losing weight daily protein intake should be from 1 g to 1.2 g per kilogram of body weight (this amount will preserve your muscle mass and also contribute to a sufficient intake of calories). Choice of food. There is no food that is defined as a food for acquiring and losing weight. You can lose whatever fat you eat as long as regulate the input and maintain a state of negative energy balance. However, there are foods that due to its size, calories and macronutrient promote or not losing or gaining weight. Generally speaking, foods that are good for weight loss are small caloric value of a large volume (fruits, vegetables, whole grains, lean meat). This type of food has a lot of trace elements that are very important to restrict calories. Food that is not suitable for weight loss contains a high caloric value and small volume (candy, bacon, beverages, oil, butter, full-fat dairy products). This is the point of each diet, it is important to listen to your body, to be moderate, apply the previous rules, allow yourself to occasionally enjoy your favorite foods that are not wished, of course, reward yourself if you followed the rules and achieve your target. Diet will be a lifestyle and not occasionally suddenly losing and regaining weight. Feeding the blood group was formed to develop biological blood group of human origin. Depending on the time period and what is the man first began to use for food and what is revealed in the meantime and finding in nature, so that when he discovered that the meat is tastier when processing that is roasted, the start of production of dairy produces, food grain, fruits and vegetables. Scientists who dealing with diet by blood groups explain that people with different blood groups are not equally well to digest certain foods. Each has a different blood group antigens with a special chemical structure. And also the name of the blood group was formed by a group antigen located on red blood pearls. The essence of the theory of blood groups makes the discovery that blood group antigens – behave differently in biochemical reactions to certain foods (that is, some of their ingredients). Below we will see that foods which blood group responds and which do not. People with this blood type are more resistant digestive system. They are carnivores, and they correspond to animal proteins and small amounts of fruits and vegetables. This blood type is harder to bear carbohydrates and products with gluten and dairy. You should avoid coffee because they produce much stomach acid. People with this blood group have little tolerance for proteins. A blood type have a sensitive digestive system and recommended a classic vegetarian diet with less of dairy products. Due to lower production of gastric acid by those who possess this group have problems digesting meat and absorption of vitamin B 12. Food containing enzymes: betaine, bromelain and papal is recommended for this blood group. 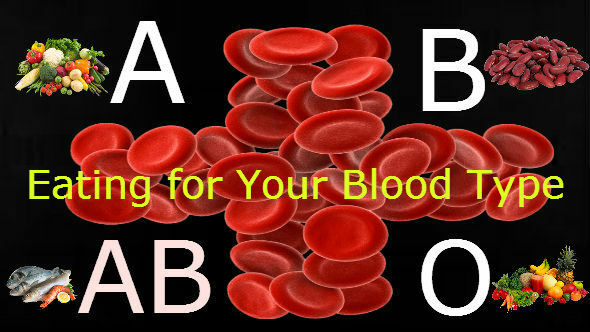 These blood group is resistant and withstands almost most foods. Those who have B blood group should avoid foods with gluten and wheat products, and tolerate dairy products. This blood type is very rare, it is estimated that only 5% of the population owns. It was created at the latest.